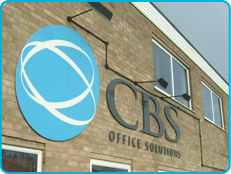 Cambridge Storage offers dry and secure business storage. We use our own 10,000 sq ft warehouse which is alarmed and monitored. Our warehouse is fitted with the latest CCTV systems recording day and night, 24 hours a day, 7 days a week and 365 days a year. To store with us, all you need to do is contact us between the hours of 8.00am – 5.30pm Monday to Friday by phone, email or fax and we will handle the rest. We are also able to offer dedicated storage for customers who wish to ensure that their material is accessible only by themselves.